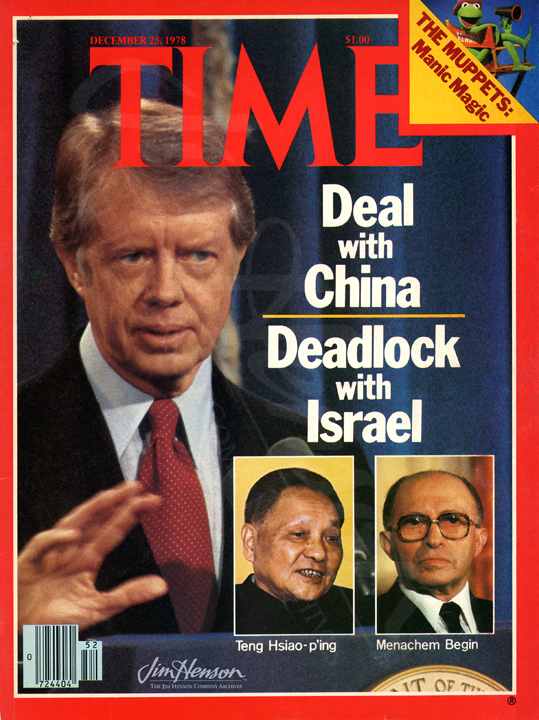 The presses were ready to roll when President Jimmy Carter announced that after thirty years of “bellicose estrangement”, the United States and Communist China would establish normal diplomatic relations on January 1, 1979. A huge accomplishment in international diplomacy for the President, the news merited a cover and took precedence over the examination of our shared popular culture. 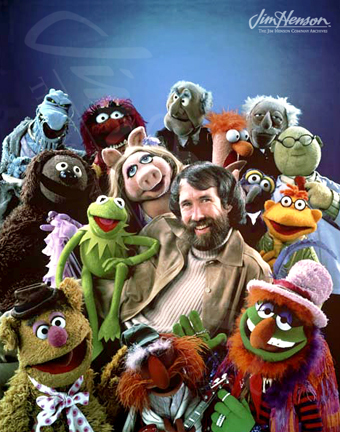 While the Muppets retained their six-page spread inside, Kermit’s smiling face was relegated to the upper right hand corner of the cover. Nonetheless, Jim’s was enormously gratified with the celebratory press in such a visible publication – and his public relations staff was thrilled to have such quotable text. 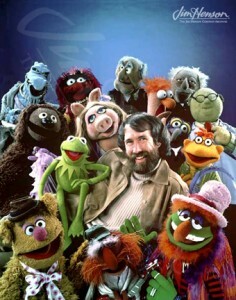 Jim and the gang pose for the Time magazine cover, 1978. Time magazine cover, December 25, 1978. This entry was posted in 12-December '78, 1978 and tagged Big Bird, Jimmy Carter, John Skow, Muppets, Time Magazine. Bookmark the permalink.